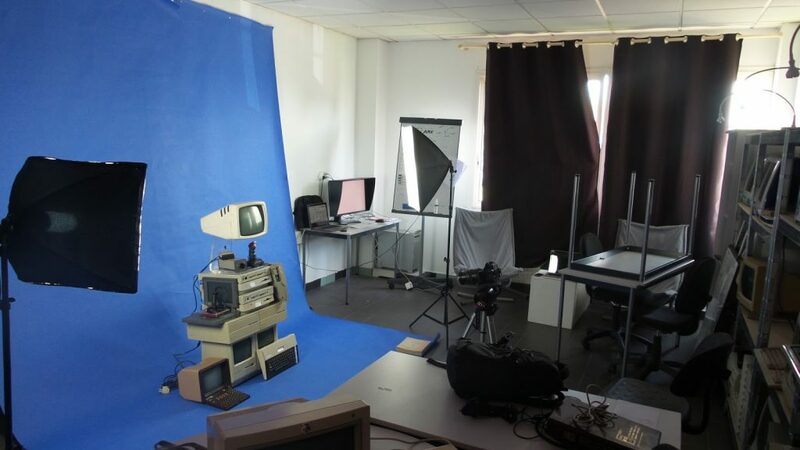 An Interview with Emmanuel Guez at PAMAL Lab, Avignon, France | What Is A Media Lab? 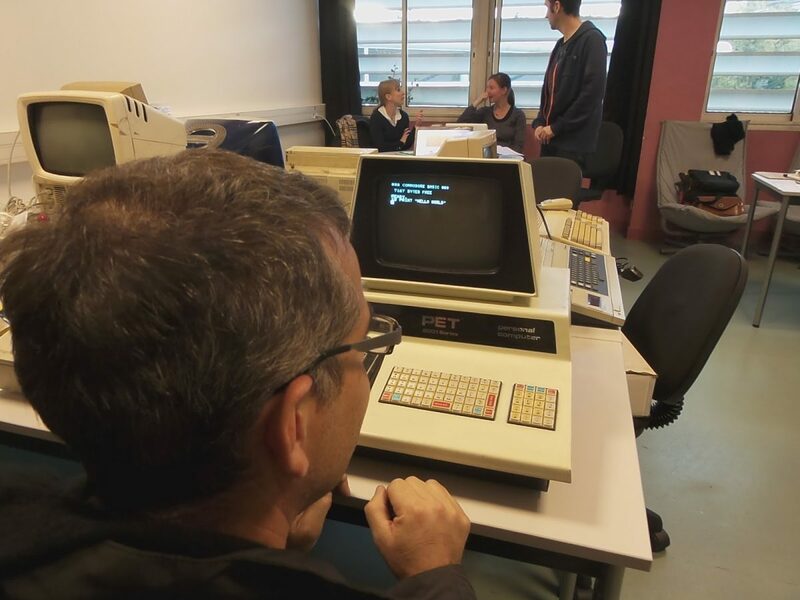 PAMAL [Preservation and Art – Media Archaeology Lab] is probably the first media archeology lab in France – what makes it a media archaeology lab and what are the core activities of your activities? Is there a specific temporal or technological focus for your Lab or what forms its core? EG: PAMAL was founded in 2013 at the Ecole Supérieure d’Art in Avignon. If we were to define the archeology of the media, I would say that it is the science of media life and death. From the media, we take up the definition given by Friedrich Kittler: machines for recording, storage and manipulation of data. The field of study of PAMAL does not cover all media, but only digital machines: computers and networks. 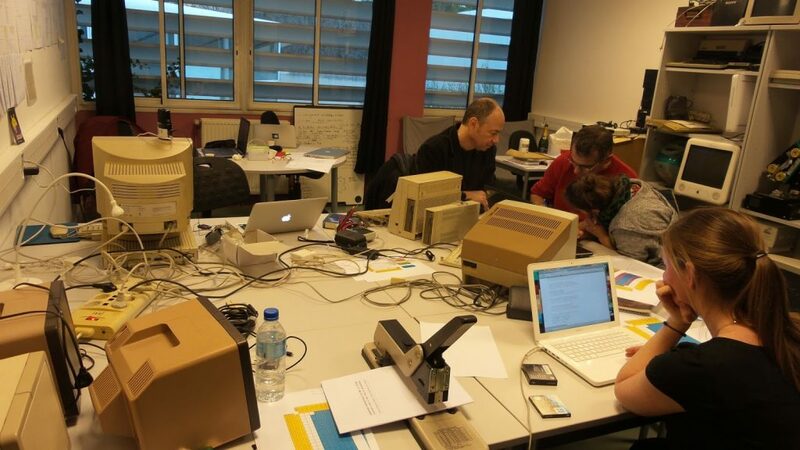 A Media Archeology Lab is primarily a place of experimentation. It seems impossible to understand the media without experimenting, without confronting the matter, that is to say code, hardware, infrastructures …. Our field of experimentation is the artistic production and preservation of works of art and digital literature. We are currently developing four research programs. The first concerns the conservation and restoration of digital works of art. The second one concerns the exhibition. In the third, we try to build an online, dynamic and collaborative relational database, which allows us to account for technological temporalities, obsolescence phenomena as well as software and hardware (in) compatibilities. Finally, we set up a studio of art-archaeological art creation. I want to go back to the first two research programs. At PAMAL, we duplicate missing or sick works, even in a deficient way. We reconstitute them with the original machines (ie. the hardware and the stack of softwares). We call these duplications of the “original originals”, which then become “archives”. 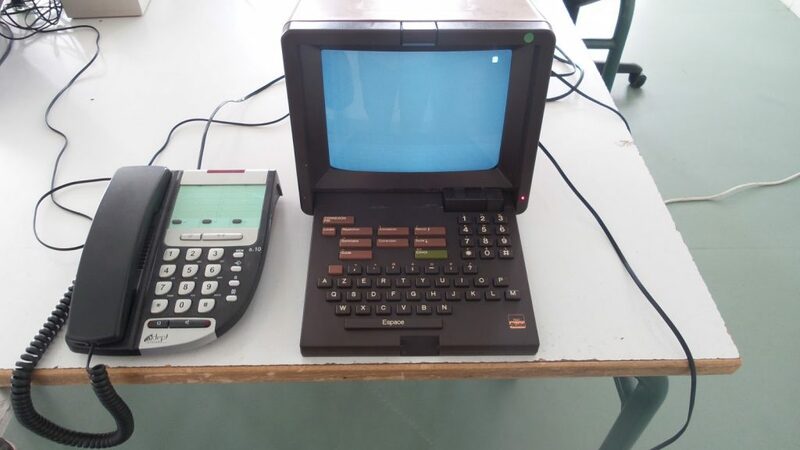 For example, we have restored a Minitel server for a telematic work by Eduardo Kac or a work on Amiga 1000 by Annie Abrahams and Jan de Weille, whose only available trace was code printed on paper listing. The gaps that appear during the production of the second originals interest us to the highest degree. While the dominant approach in the conservation-restoration of uncoded works is to integrate the gap, our approach is to exhibit it. Deficiencies can be the manifestation of what we call breaks in the media ecosystem (uses and discourse, and especially material / software correlations) and are, therefore, instructive in thinking about the archeology of the digital arts. They enable us to measure endangered knowledge, know-how, devices and technical devices. All this invites us to think differently of the exhibition of works: how far must we show fully functional works? How to show dead or dying works? How to integrate the bug in the exhibition? The stakes are important here because the dominant practices within French institutions are emulation, portage or, to a lesser extent, reinterpretation. For them, everything happens as if the machines did not produce effects on perception and on experience. As if, by themselves, these machines did not tell something. We believe that we must revisit the logic of access to works of art and digital literature and that we can not reduce a work to its “functioning” or to its idea. At the beginning of this interview, I defined the archeology of the media as the science of the life and death of the media. I prefer not to convene the concepts of emergence and obsolescence, which belong to industrial logics. There is nothing metaphorical in this definition. It is not certain that Bruce Sterling, at his conference at ISEA in 1995, thought the dead media project a metaphor. This conference is an essential starting point for us. In the same vein, I would like to quote here the Zombie media of Garnet Hertz and Jussi Parikka (whose remarkable book Insect Media rests in a certain way on the same idea). Between the living and the machines there is perhaps more than a metaphorical relation. If this hypothesis is true, it must be admitted that the media possess their own temporality and produce their own “history”, which must then be distinguished from human history, even if the two are intertwined. Media theorists, such as Marshall McLuhan, and media archaeologists, such as Siegfried Zielinski, have thought about this specific media archeology, which means that a medium engenders or calls for a new one. For my part, following McLuhan and especially Friedrich Kittler, I support the idea that the invention of a new medium corresponds to the process of immortalisation, not of humans (we should then speak of “desire for immortality” ), But machines themselves. Let’s talk about our studio. We seek to produce an art not on or with machines but produced by machines. We are a few artists in France to explore the media in this way, an art that I called media-archaeological, in a slightly different sense of Jussi Parikka. We know from Marx that machines act on the mode of production. That is why, when we try to interact with machines, we do not limit ourselves to a technological approach. We seek to capture their artistic, ecological, economic, financial and scientific effects. We do it not only by exploring the deepest layers of their materialities, but also by examining their immortalization process, decrypting and deciphering their own modes of communication, infiltrating the bots, Deconstructing the dominant discourse of innovation, as well as the strategies of the digital industries. We question the tangled temporalities of the Web, the boundary between hardware and software, between analog and digital, and try to write an archeology of the bug. We begin to encounter a computational subjectivity and contribute to rethinking a new materialism, thus repolitising the way art is made. Among the artists who are close to us, for example, RYBN, Nicolas Maigret, Quentin Destieu, Benjamin Gaulon, Project Singe, Olivier Perriquet, Jeff Guess, Gwenola Wagon … all these artists are closely connected with PAMAL and His studio. Can you talk about a bit more about your infrastructure? EG: Within the art school we have two rooms, one where we produce and store machines, another where we archive the works we study or produce. EG: The space is open to students, doctoral students and researchers. For the past year, we have been trying to open a training course in media archeology (although there is a lot of resistance). She starts with the Bachelor’s degree. What sorts of support does the lab receive? (Government grants, institutional grants, private donors, etc.)? EG: For the Lab, we receive a grant from the French Ministry of Culture. We also have partners (Center George Pompidou, the Cinémathèque Française, etc.). We collaborate with universities or laboratories (Labex Arts H2H from Paris 8 University, the University Technological Institute of the University of Aix-Marseille in Arles, and other art schools like the Grenoble Valence Art School). What sorts of knowledge does the lab produce and how it is circulated? EG: In a reoriented media environment, orality is paramount in our eyes. This is why we organize and take part in conferences, seminars, festivals … We propose conventional communications or performances, because at PAMAL, there are also artists. We obviously design exhibitions (we have made three). And we publish. We began by addressing a “fairly large” audience, realizing a special issue “Media Archeology” of MCD magazine, which we have deliberately focused on artistic and conservation-restoration issues. We are starting to publish academic articles. We are planning to publish a book soon … Soon all our articles will be available online. EG: The most important for us is to bring issues and approaches to media archeology in France in the field of digital arts and cultures, dominated by a positivist and technocentric vision. A few years ago, digital arts and cultures did not exist in France. Today, in the absence of a critical theory (except perhaps journalistic), digital is an endless craze, an ideological fascination or, on the contrary, irrational feelings, sometimes completely technophobic. We believe that, thanks to its political and epistemological dimension, the archeology of the media can bring another vision of the digital media. Our wish is therefore to compare the archeology of the media with French thought and culture of technique, which, as you know, is quite foreign to the theory of the media, even if this one and the archeology of the media Media in particular were built in a dialogue with the French Theory. For a year or two, the field of research has appeared in France: on the side of art history (with the seminar of Larisa Dryanski, Antonio Somaini and Riccardo Venturi at the Instituto Nacional de l ‘ History of Art (INHA)) and on the art side: in Media Mediums program by Jeff Guess and Gwenola Wagon, with the Re: Frag festival directed by Benjamin Gaulon and with us. We attach great importance to the issues raised by the archeology of the media also affecting philosophy, aesthetics and literary studies. Recently, Yves Citton, Jeff Guess, Martial Poirson, Gwenola Wagon and I organized a symposium “Media Archeology and Ecology of Attention” in Cerisy-la-Salle. Hopefully it will bear fruit. We are also entering into a dialogue with the world of preservation and conservation-restoration of works of art. Receiving is tricky, as the idea that a computer is anything other than a tool, instrument or medium is still difficult to accept. What would you say is the most significant accomplishment to date? EG: Several exhibitions, some restored works, ideas circulating, a qualified laboratory and subsidized the Ministry of Culture, meetings, a seminar, it is already not bad! Could you briefly describe your plans for the next 3-5 years? EG: We depend on the art school of Avignon. In France, art schools suffer from severe budget cuts. So we do not know if we’re going to exist in three or five years. From an institutional point of view, we want to open our laboratory to all those who work on these issues. From a theoretical point of view, we hope that we will have provided some answers to our questions.